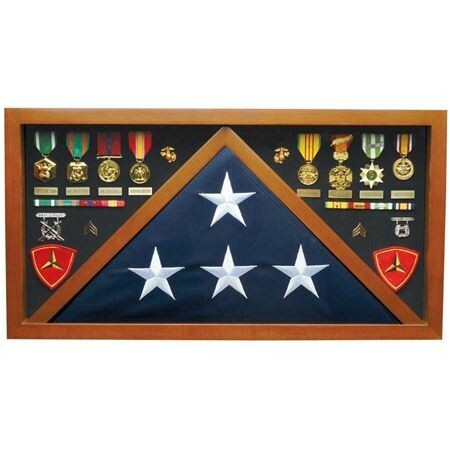 13.78" tall x 28.35" wide x 4" thick.This premium wood piece offers quality handmade craftsmanship, a solid glass front, thick stained hardwood, easy access back, E-Z mount system for insignia and medals and wall mounts. Made to sit or hang. Measures: 13.78" tall x 28.35" wide x 4" thick. The flag case fits traditional 5x9 flags. (Hanging optional but not recommended due to weight.) 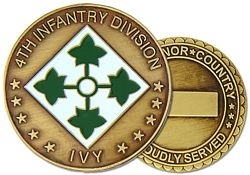 Ships to USA addresses ONLY. No PO Box shipments on this item. Item is for the case only...not contents as shown.